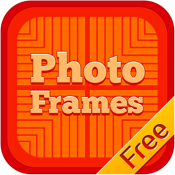 Combine multiple photos into a photo frame with Photo Frames from your iPhone. share them with your friends and family via Facebook, Email, Twitter, Flickr, Tumblr, Instagram and Vkontakte. With 42 fully adjustable frames, rounded corners, plenty of patterns and an easy color picker you will always have a unique look. The BEST photo maker for iOS devices.